But it prompted an obvious question from this American: Who’s Wally and what have you done with Waldo? Is he part of a witness relocation program and if so, why didn’t they ditch that red and white striped shirt, woolly hat and glasses? Dead giveaway. 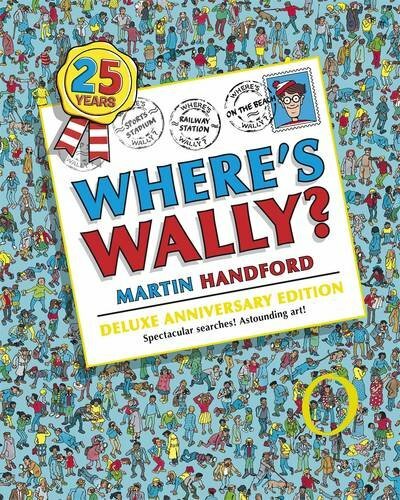 Well, after doing a bit of online research, I’ve discovered that Where’s Waldo was actually created by a British illustrator Martin Handford. So let it be known that Where’s Waldo‘s real name is Wally, he is British and he went missing in the UK long before he ever was stateside. In my research, I’ve also discovered that he has other alter egos. He is Charlie in France, Walter in Germany, Holger in Denmark, Valli in Iceland, Willy in Norway and Hetti in Sri Lanka & Goa. He’s also better known as Waldo in Canada and Japan, if you were wondering. Yeah, I think we will all sleep better tonight. Posted on 30, August 2011, in Culture and tagged books, British, humor, Where's Waldo, Where's Wally. Bookmark the permalink. Leave a comment.